I get a wee bit tired of my light box and its white background sometimes. But because I don't have one of them funky cameras, it can be a bit challenging to take clear photos without good lighting. Early this morning, as I was sitting on my couch, enjoying my day off with a cup of coffee, I saw a stream of light peeking through my dark brown curtains. Then it hit me! 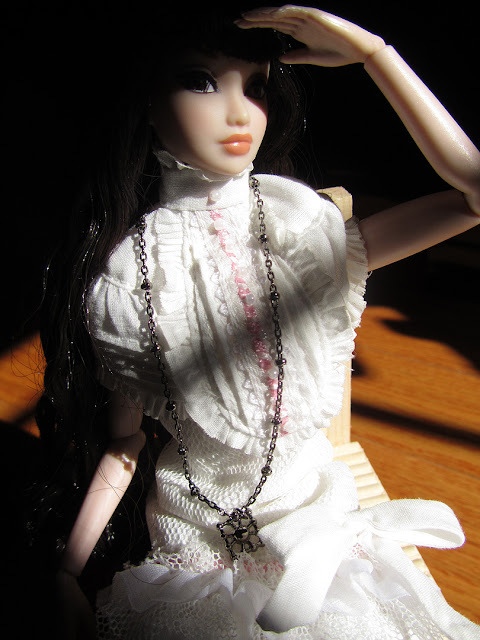 What better way to start the day than a dollie photo shoot (other than my coffee, that is), in front of that stream of light. 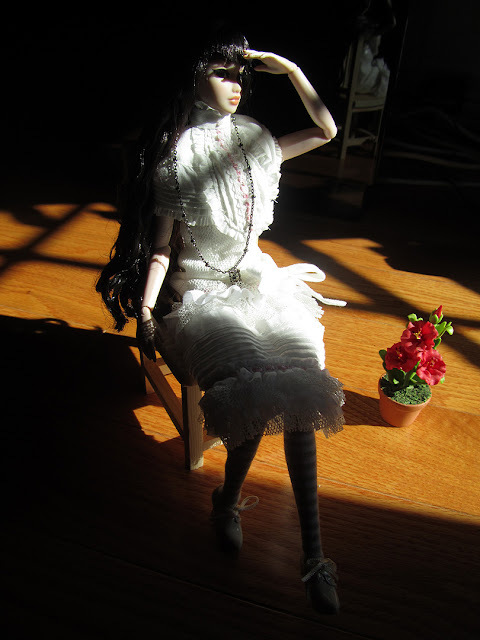 So, I took out my Good Morning Amelie doll named Hemera, after the Greek goddess of day. My FR Nippon dolls have been lacking camera time anyway. She's happy that she got camera time. I'm happy that she's not in front of a white background. Good morning, indeed! Great early morning photos, she looks beautifully dresses for a summer's day.